Gloucester Tall Ships Festival 2009. 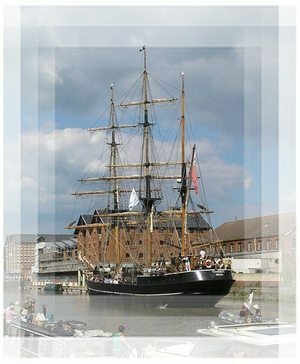 The City of Gloucester in the UK has just hosted its second Tall Ships Festival. The first festival in October 2007was staged to attract visitors back to the City after the disastrous Severn valley floods. The historic Gloucester Quays and docks were once thronged with the ‘trows’ and barges employed in the river and coastal trade as well as two-masted brigs, schooners and even some three-masted barques. The Victorian warehouses which once were packed with corn from Ireland and Europe, timber from the Baltic and North America, and wines and spirits from Portugal and France as well as salt for export are now in the process of being gentrified as apartments and office blocks. 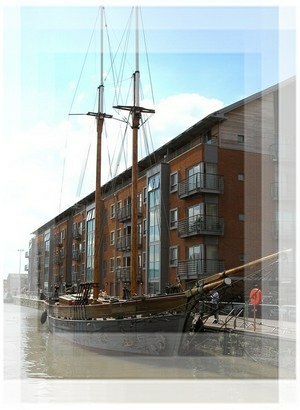 However, Classic Sailing Tall Ships still come to Gloucester for overhaul in the dry docks at Tommy Nielson’s boat yard. 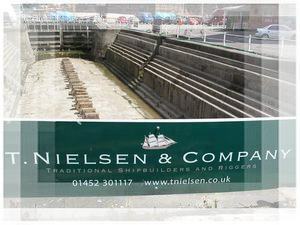 Nielson’s, famous for their traditional shipbuilding skills, specialise in building and maintaining traditional boats. When “Jolie Brise”, the famous 1913 Le Havre pilot cutter, needed a replacement main mast before setting off in this years Tall Ships Transatlantic Challenge, Nielsen's managed to build one, varnish it and re-fit the fastenings in three weeks. The six tall ships visiting the docks this weekend are only a fraction of the traffic which would have been queuing up to discharge cargoes in the docks heyday in the 17th 18th and 19th centuries. However it is wonderful to see these craft still in service and visitors will be able to go on board the ships to get a taste of what life was like in the age of sail. Among the ships visiting this weekend are the “Kaskelot” which is one of the largest wooden ships still in commission. This replica of a 19th century, 3 masted, double topsail, barque was built in 1948 for the Royal Greenland Trading Company to supply the remote coastal settlements of East Greenland. The “Matthew” is a replica of the original ship in which John Cabot reached the coast of Newfoundland1497, long before Christopher Columbus claimed to have discovered the new world. This is the replica which in 1997recreated Cabot’s original Atlantic crossing. 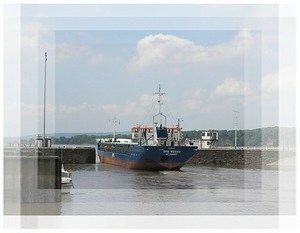 She normally lies in Bristol harbour which was Cabot’s port of departure. The “Phoenix”, was built in Denmark in 1929 as an Evangelical Mission Schooner. In 1974 she was converted into a Brigantine, then in 1988 she was sailed back to the UK where she underwent a complete refit. This tall ship has since had a film career in the Hornblower Series III, ‘Voyage of Discovery’, ‘Moll Flanders’ and ‘Frenchman’s Creek’. 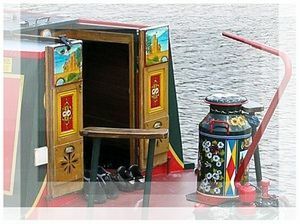 In 1991 she was converted to the 15th century Caravel ‘Santa Maria’ for Ridley Scott’s film ‘1492 Conquest of Paradise’. The “Earl of Pembroke”, originally named “Orion” was built in Pukavik, Sweden in 1948. She traded timber in the Baltic and British East Coast until being laid up in Denmark in 1974. After a complete restoration she was commissioned in 1994 as the three masted 18th century wooden Barque that she is today. The “Tangaroa” a traditional gaff ketch, including jib topsail, jib, staysail, main, main topsail, mizzen was launched in 1925 in Denmark. First commissioned as a seine netting fishing boat under the name of “Tina”, she fished the Baltic, going as far afield as Greenland in search of a good catch. In 1988/1989, she was decommissioned from fishing and brought from Denmark to Southampton. She was then fitted with new interior, accommodation, and deckhouse and rigged to how she would have been. The “Johanna Lucretia” was original build as a two masted topsail fishing schooner in Ghent in Belgium in 1945. But by 1954 she was converted for recreational use and sailed from her home port in Enkhuizen in the Netherlands until 1989. 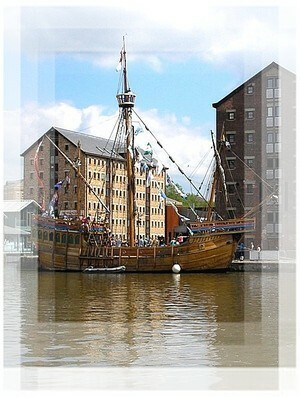 She is at present being restored at Gloucester Docks where she stared in the film “Amazing Grace”. Visitors can also visit the National Waterways Museum where they can explore the fascinating history of Britain’s waterways. As well as interactive displays, recordings of former dock and canal workers, archive film footage and exhibits, the Waterways Museum has a collection of boats including the distinctive English canal ‘narrowboats’, river barges, canal and river tugs, and a steam powered dredger. There is also a steam crane and heavy oil engine in the setting of a canal repair yard, complete with working machine shop, forge and weighbridge. Thanks to its strategic position on the borders of England and Wales, the city of Gloucester has a rich history since its foundation as ‘Glevum’ in AD 48 by the Romans. The geographical position of Gloucester so far inland at the head of the Severn Estuary gave it a tremendous advantage as a port. Gloucester was originally granted the status as a port in 1580 by Queen Elizabeth 1. As the industrial revolution swept across England in the eighteenth century Gloucester was in an ideal position to serve the industrial midlands. Then with the building of canal network the city developed reliable transport links as far as London. However, as the estuary at Gloucester becomes shallow and narrows to just a few hundred yards, cargoes from tall ships were having to be transhipped at Bristol and carried up the estuary by barge and the local sailing ‘trows’. So in 1827 in order cut out the high port charges incurred at Bristol, a twelve mile canal was opened between Gloucester and Sharpness where the estuary is still a mile wide and due to the estuary’s huge tidal range was within reach of quite large vessels. Even today there is a small amount of commercial traffic as far as Sharpness but it is restricted to the occasional tanker barge bringing petroleum from Avonmouth. 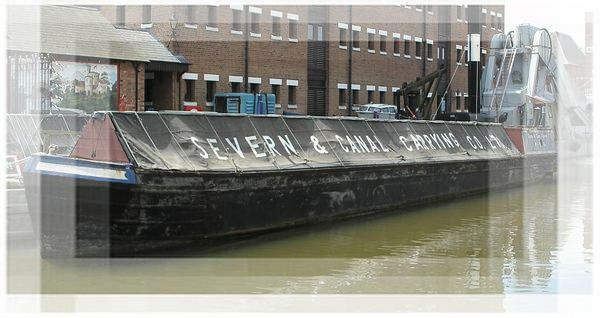 While much of Gloucester’s historic success as a port can be attributed to the canal builders it is also a testimony to the skill of those early sailors. The Severn estuary has its own unique navigational problems. The twenty to thirty miles of the funnel shaped estuary narrows from approximately 5 miles wide at Avonmouth to about three miles wide opposite St Pierre Pill where my Mignonne is moored, to 1 mile wide at Sharpness. As a consequence of this funneling of the tide, the estuary has one of the highest tidal ranges in the world, being as much as 50 feet/15.4M. To negotiate the estuary under sail alone required great skill and perfect timing, especially from the tall ship sailors. Very few sailors risk the journey today without a reliable engine. Even the crews of the tall ships visiting the port this weekend, skilled as they are would, I'm sure be wary of attempting the trip without their trusty diesel engines. 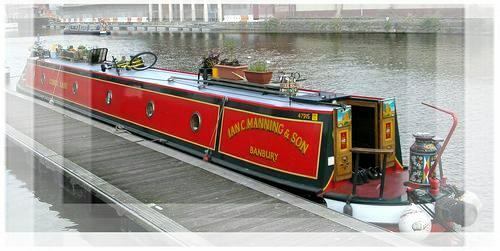 Today with the decline of commercial shipping the docks are home to a large number of ‘narrowboats’ and cabin cruisers, used mainly for pleasure.